Do you like music and radio? Come out and tour the WMUC Studios! Learn about how to get a radio show and become involved at WMUC! Join Dominick of Electric Candle Radio and Dave of Dave's Record Collection for the annual celebration of the Woodstock Music & Art Fair. This annual special broadcast will celebrate the 46th anniversary of this historic festival which occurred on August 15, 16 and 17, 1969. And extending into the morning of August 18, 1969. This year will be a one day event on August 15, 2015 from 3:00pm until Midnight, totaling 9 hours. 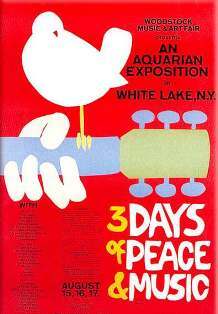 The broadcasts will feature the artists that performed at the Woodstock Music & Art Fair, in the order of their appearance and the music performed by each artist. An enormous amount of new material has been released in the past few years and the Woodstock Anniversary broadcast evolves each year. This is the most extensive look at the Woodstock Festival anywhere and we hope you'll join us for the broadcasts. If you miss any of the broadcasts you may download it from the "Show Archive MP3" page. We are celebrating 1 year as the dopest LIVE radio show this side of the World. First is our showcase with Brooklyn Wildlife in Brooklyn NEW YORK! Yes we are taking are talents to the Big Apple. We have a lot of great artists performing, plus painters and live Yoga! Then we are heading back to the DMV for our show in Maryland. UMD will never be the same, Paperboy Prince of the Suburbs hosts our showcase that will also be broadcasted live on WMUC radio 88.1. Secret party in DC. DJ No Requests is spinning. Thats all I can say cause its a secret. ALSOYoung Wizard Is Out right now so make sure to check that out. This is the first HIPHOP YOGA LIVE of the Summer! WE WILL BE DOING HIP HOP YOGA LIVE IN BROOKLYN, NY 6/17 STAY TUNED! Broccoli City Festival is a concert and expo event that takes place every with a focus on improving the environment if you didn't know already. Thousands of people showed up this year and the headliners were Erykah Badu and Joey Bada$$. I attended it a few weeks ago with a press pass representing my show the Hip-Hop Corner and WMUC. I made a highlight video. 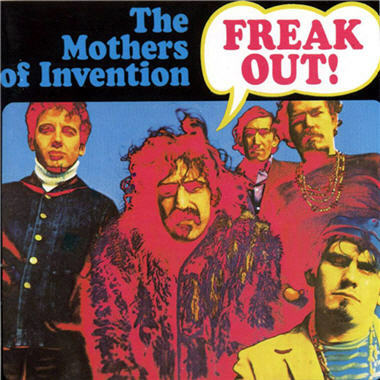 From 3:00PM to 10:00PM May 9, 2015, join Dominick of Electric Candle Radio and Dave of Dave's Record Collection for the annual Mother's Day Show. Last HIPHOP YOGA LIVE OF THE SEMESTER! This will be the last HipHop Yoga Live of the Semester. Its gonna be dope so Yeaa Just get there. WE WILL BE DOING HIP HOP YOGA LIVE IN BROOKLYN, NY 5/27 STAY TUNED! We are very moved by all the protests and dialogue going on throughout the country and in Baltimore in response the the violent killing of Freddie Gray. Paperboy Prince of the Suburbs and the #KwanzaaGang have decided to lead a nonviolent protest taking over the airwaves of WMUC radio. Come From 8-10pm to speak on air and share your frustration and feelings. This will be peaceful and to spread love but let our demands be known! On A lighter Note Young Wizard Is Out right now so make sure to check that out.